Here's another house, this one in Braselton, with the same situation: The air-conditioning installer didn't bother to seal around the pipes. The local rat community were so grateful that they held a dinner in his honor. 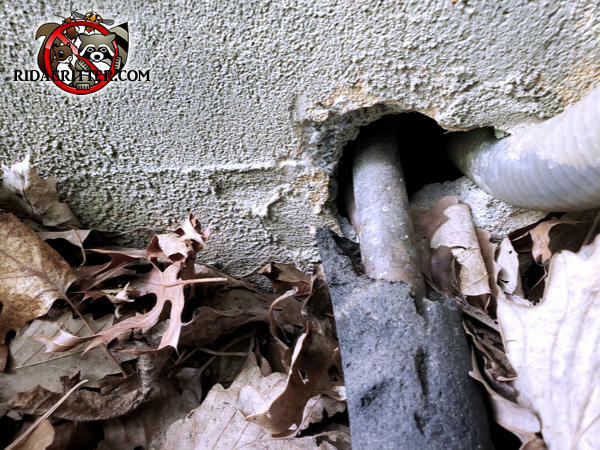 To learn more about rat control and rat-proofing in the Athens area, please click here.